I’m back on the European continent, after having made (film) trips to Mexico, the Philippines and China. I’m in Portugal this time, the home of filmmaker Pedro Costa. It is only the second of his films I have seen. The first one was Bones (1997), which I couldn’t quite get through at the time. I can now see, though, what type of slow-film director Costa is. Colossal Youth tells the story of Ventura, an immigrant in his 70s, who, like many other immigrants, has been relocated to a new housing estate near Lisbon. He appears to live in the past. The present is a confusing structure he cannot seem to handle. He is confused as to where he really lives, I believe: past? Present? In his old slum? In the new estate? For me he is a walking ghost. Similar to Nicolas Pereda from Mexico, Costa merges documentary and fiction. It is often difficult to tell what is scripted and what isn’t. Sometimes there is the strong sense that the camera simply records without the interpretation of the filmmaker. At other times, you can feel the presence of someone behind the camera. First of all, very obvious, Costa is not a filmmaker who assigns a great role to outdoor spaces, especially to landscapes. This film in particular is set mainly indoors. In parts, it reminds me of the look of Oxhide I, in that we spend a considerable amount of time in very dark spaces, and the only light is of somewhat greenish colour. There is, however, and interesting contrast in the film. As I already mentioned, Ventura is relocated to a new housing estate. Both the slums and the estate have their own set of lighting and colours. Ventura moves freely between both in order to see people he knows. We therefore switch between darkness (the slums) and brightness (the new estate). While the changing colour scheme seems to be a natural thing – and indeed, it comes in handy – I wonder whether there is a subtle message behind it. I never got the feeling that Ventura feels very comfortable in his new surrounding. It doesn’t mean that I preferred him being and remaining in the slum. But somehow, he appeared to me more natural in his behaviour. So perhaps, while the above mentioned brightness is natural and most likely not intended, we could say that the brightness – the white sterile walls and the bright light – can function as an indicator of where Ventura feels more himself. I’m really not sure about this. It’s merely an idea. Costa, to my mind, is the only slow-film director who picks up the issue of immigration of former colonised to the countries of their colonisers, in this case Portugal. Portugal is by far not the only country that faces this issue. France has seen similar waves of immigrants, but curiously enough they never appear in film, or not in a way that does not make the audience loath them (moral panics anyone?). There are few films that handle this issue in a sensitive manner, and Costa’s Colossal Youth is one of them. What he has in common with other slow-film directors is the depiction of loss and poverty. 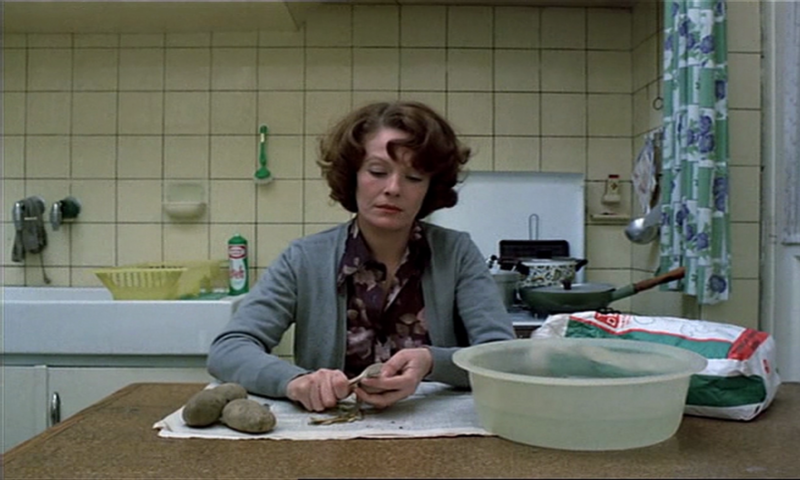 I pointed out earlier that these two are of exceptional significance in Slow Cinema. And his films, too, are in one way or another connected to the Third World, something I also mentioned briefly earlier. Costa is very different (from the filmmakers I study), but he nonetheless shares many characteristics. The themes of poverty and loss are my main interest here. Somehow I think that Tsai Ming-liang and Albert Serra are the only two filmmakers who add a bit of humour to their slow films. Slow Cinema appears to be a very sad film genre! Hey! Yes, that is very true. We only have to give them room to experiment. This is what I’m a bit worried about. The lack of space for these directors.